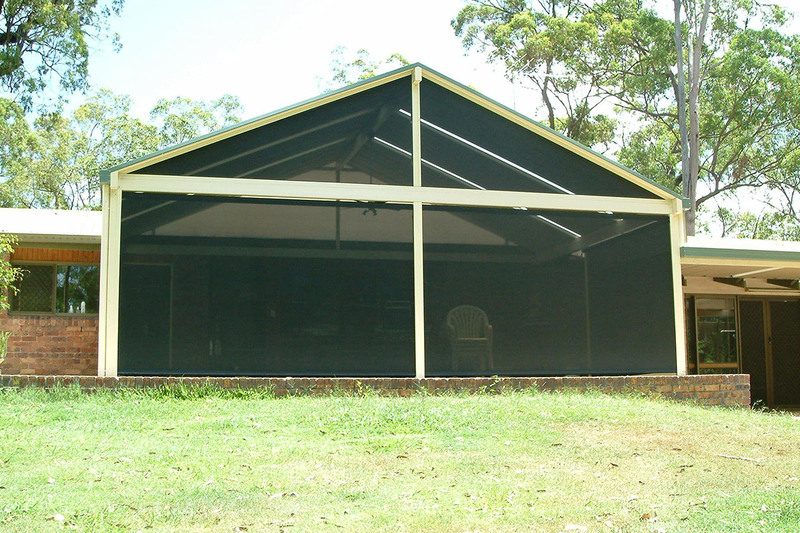 Multi-Stop Awning can provide a cost effective option to enclose an area otherwise subjected to weather/sun/heat. 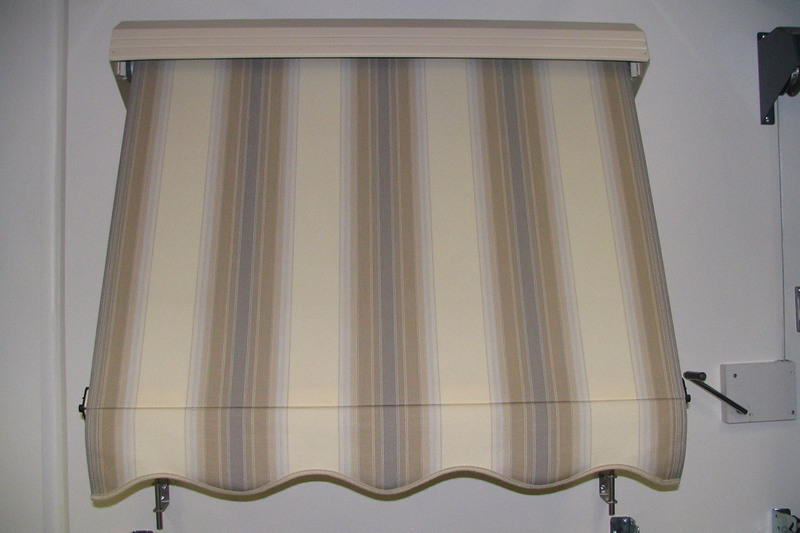 This awning has had the Trims powder coated to match. 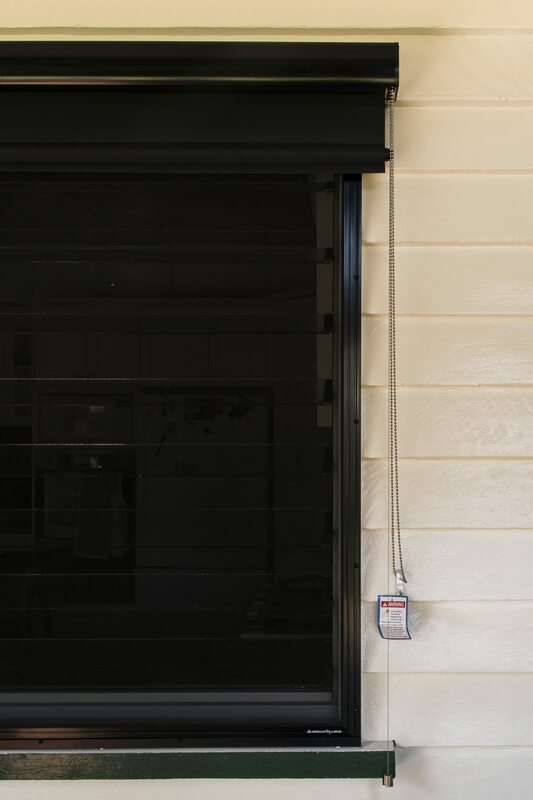 Depending the choices made the crank mechanisms come in a variety of gearing to suit the needs of our customers. 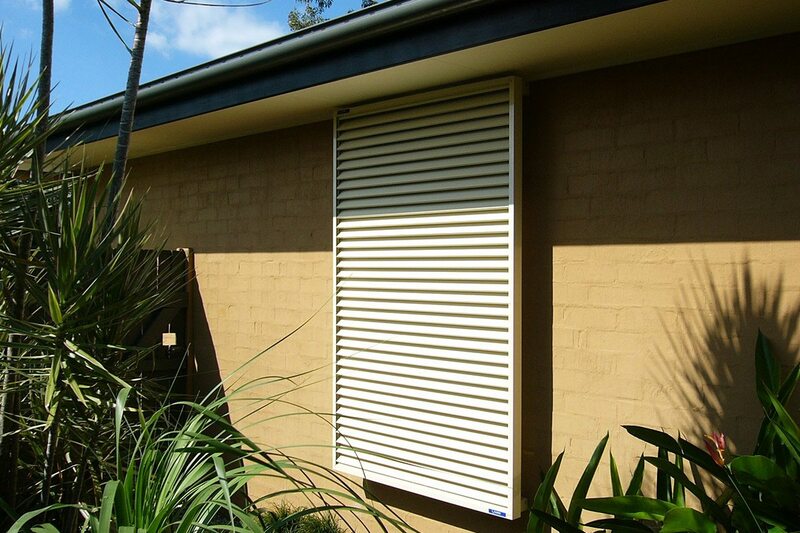 Whether they be heavy duty or ease of use. 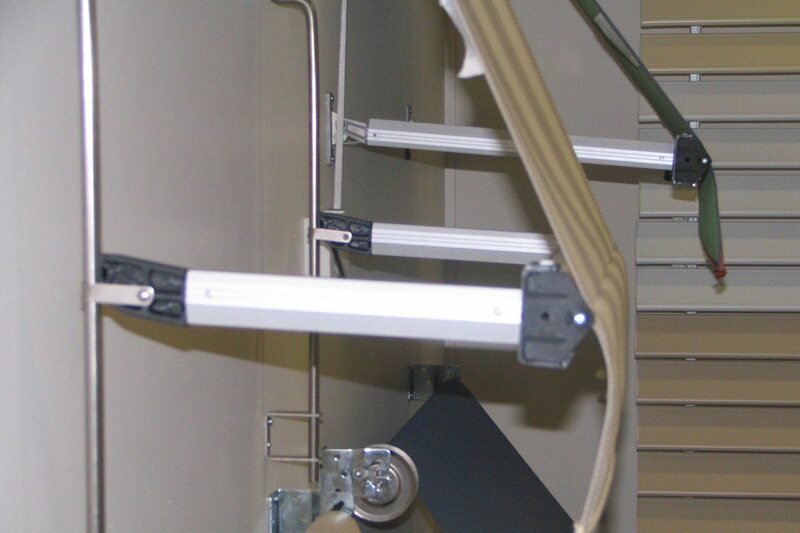 Up close of crank mechanism and crank handle. 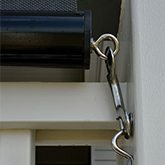 Crank handle is removable to be stored elsewhere if desired and crank mechanism is minimal and geared for ease of use. 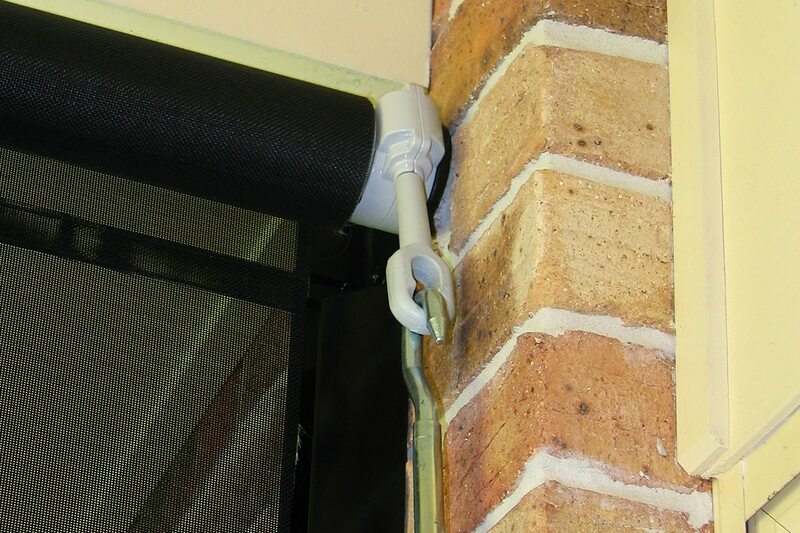 This image show a crank handle that can come in a variety of lengths and colours to suit your awnings of choice. 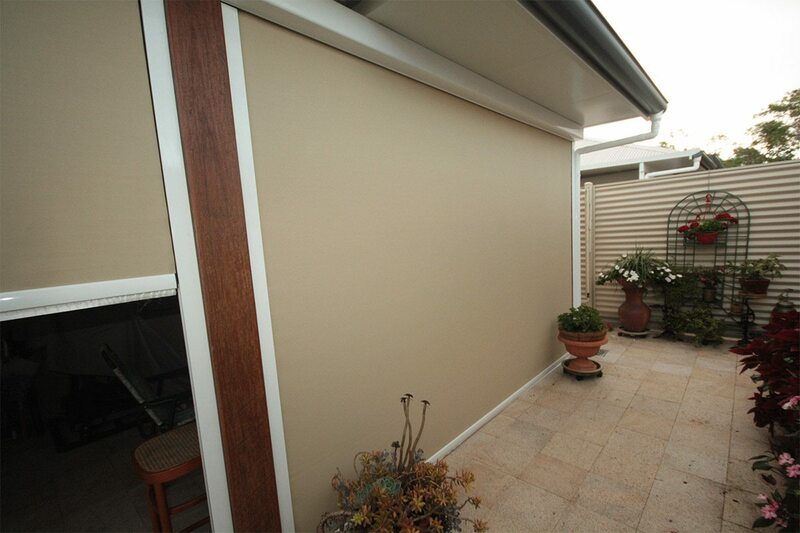 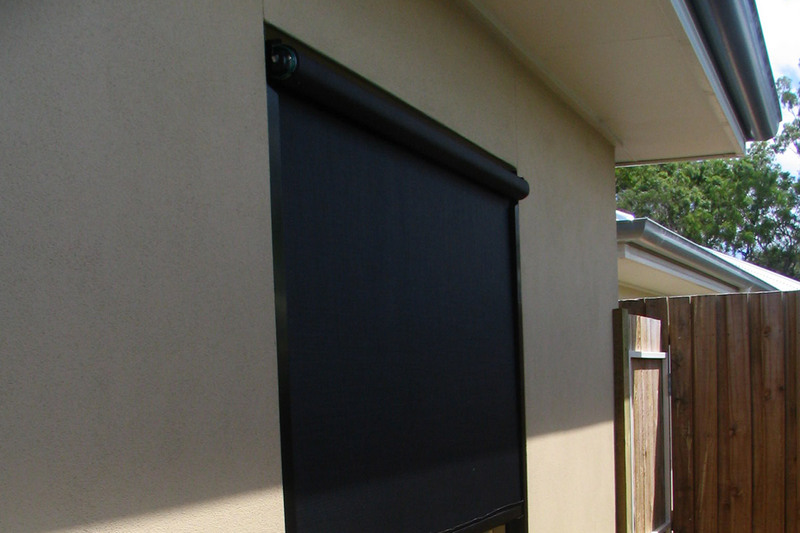 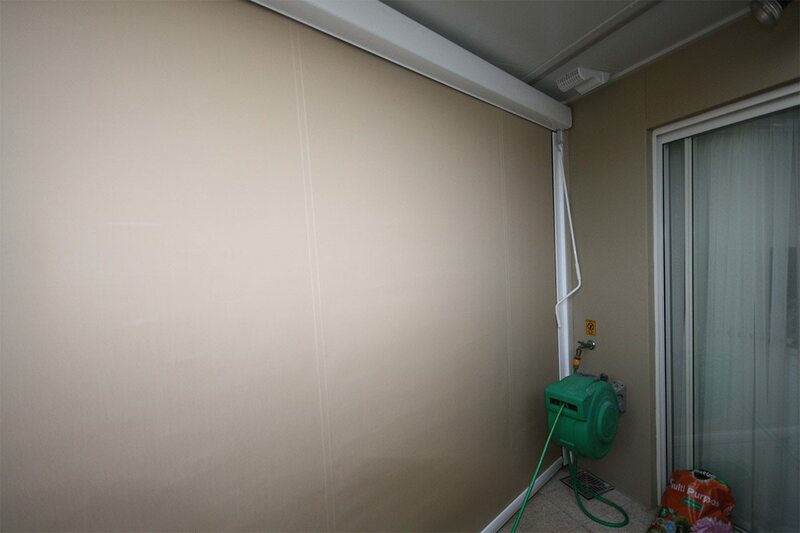 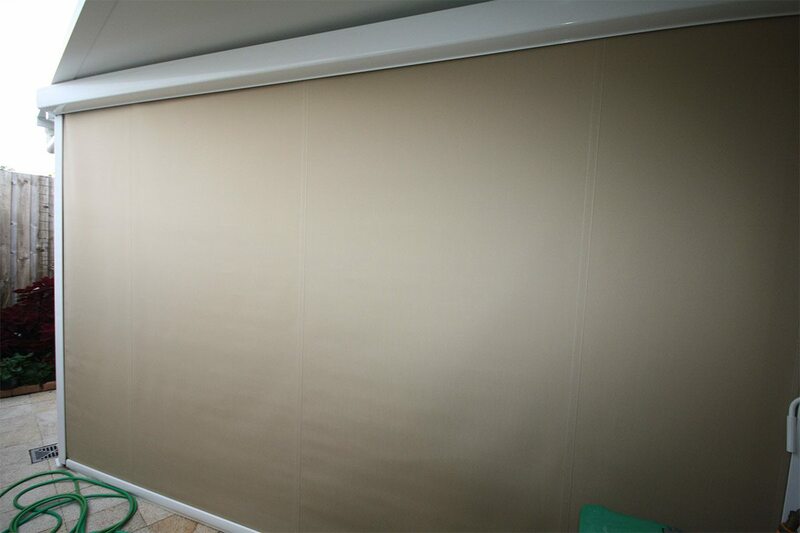 Exterior fixed aluminium privacy screen. 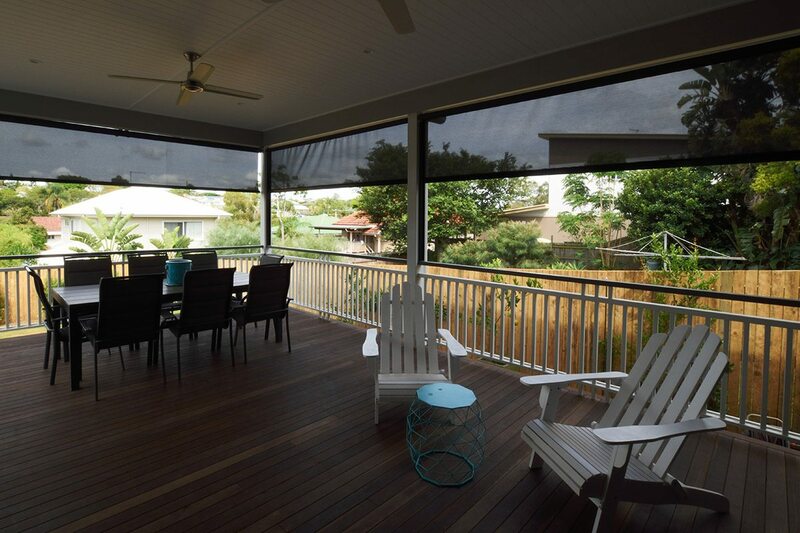 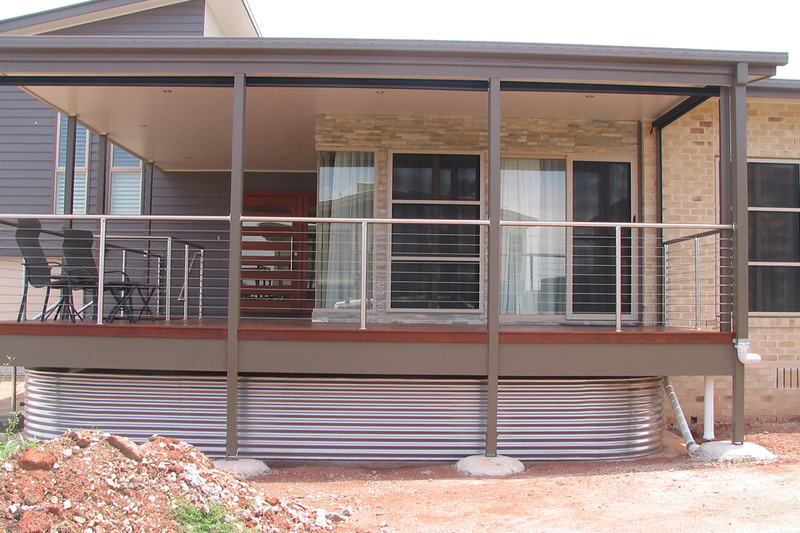 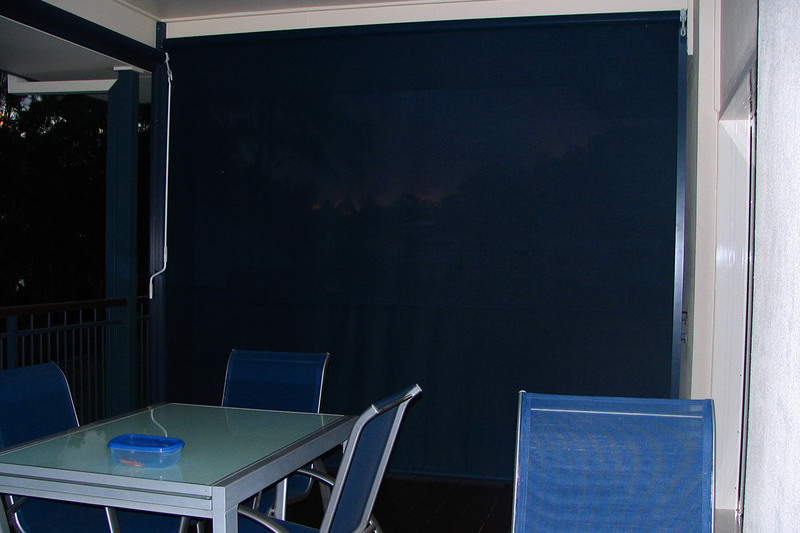 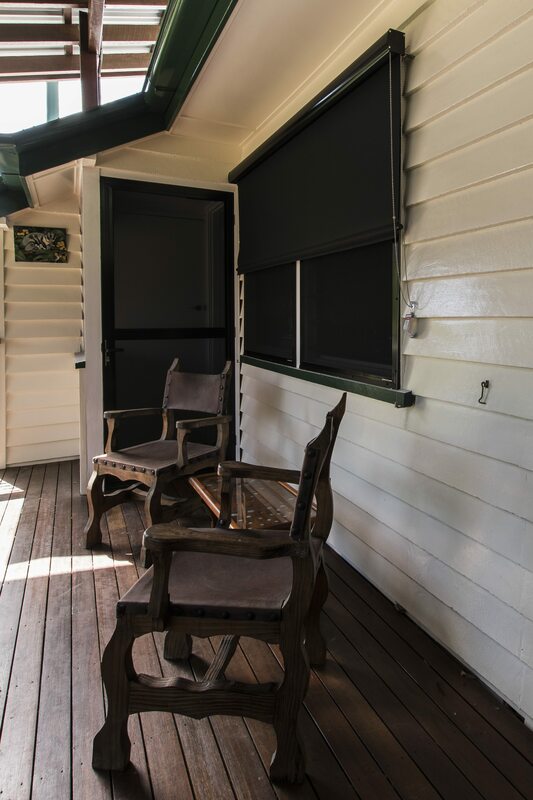 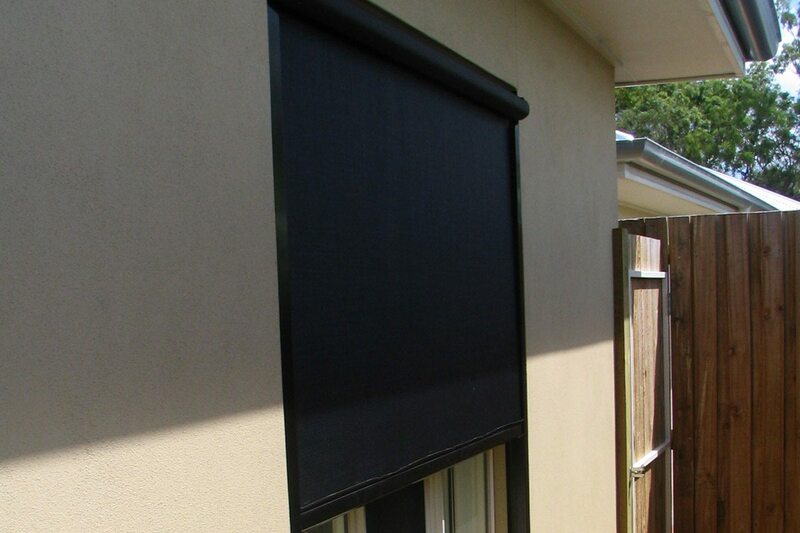 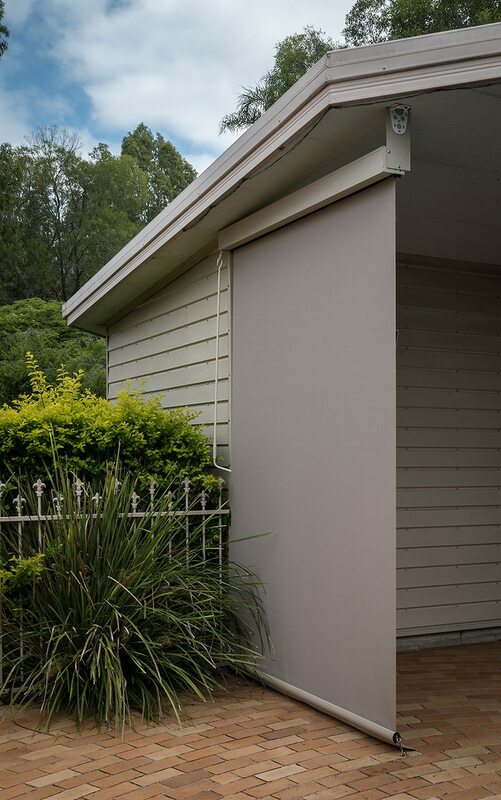 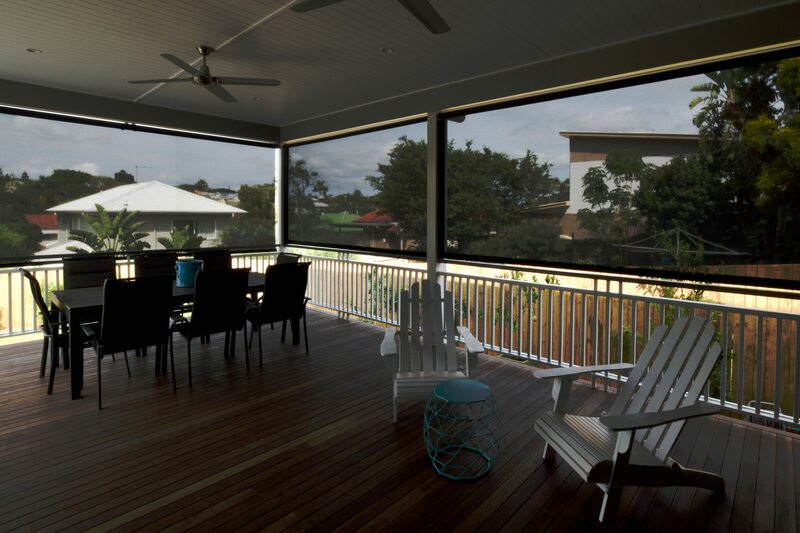 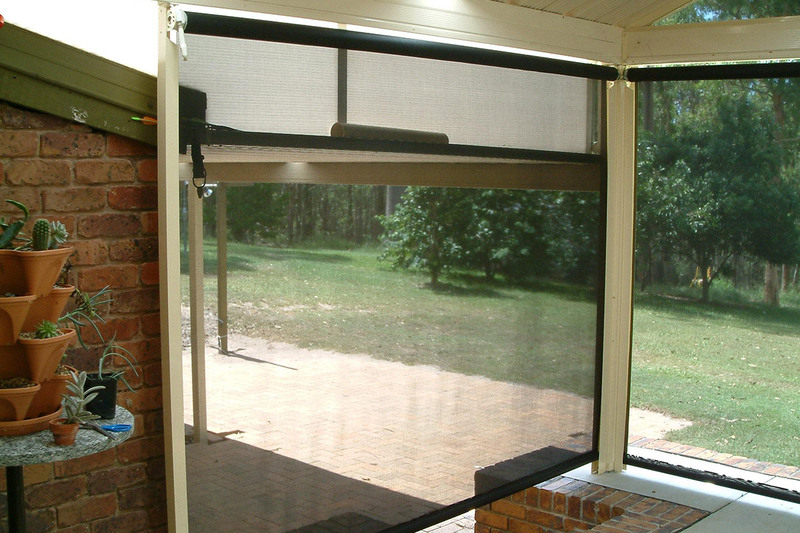 Crank Operated Straight drop awnings with side channels which enclose a space but still allow breeze and a view. 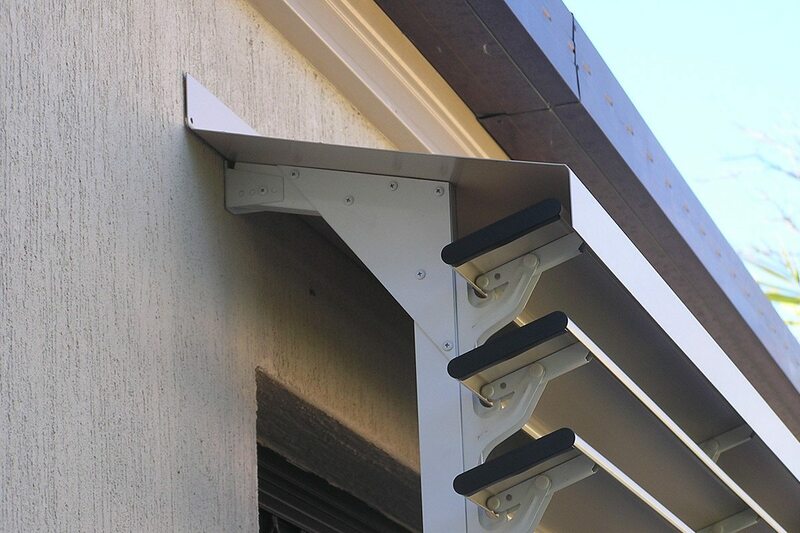 Crank operated straight drop awnings with side channels. 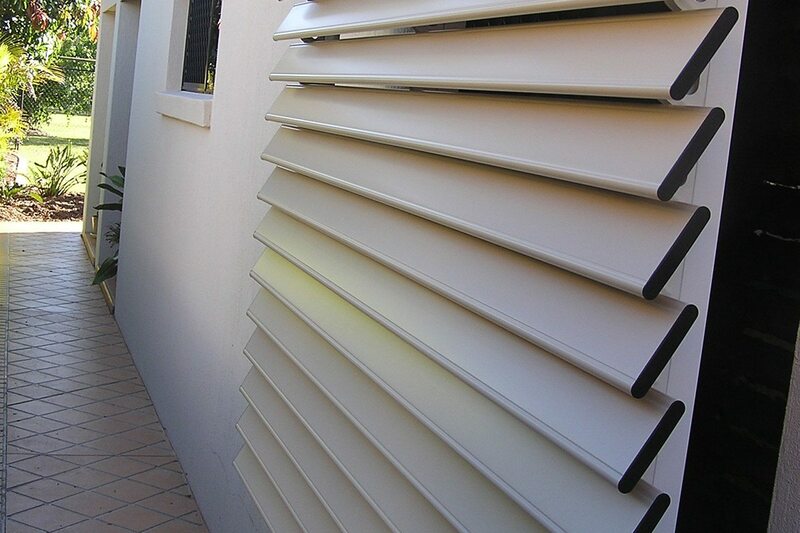 Side channels powder coated to match existing house colours. 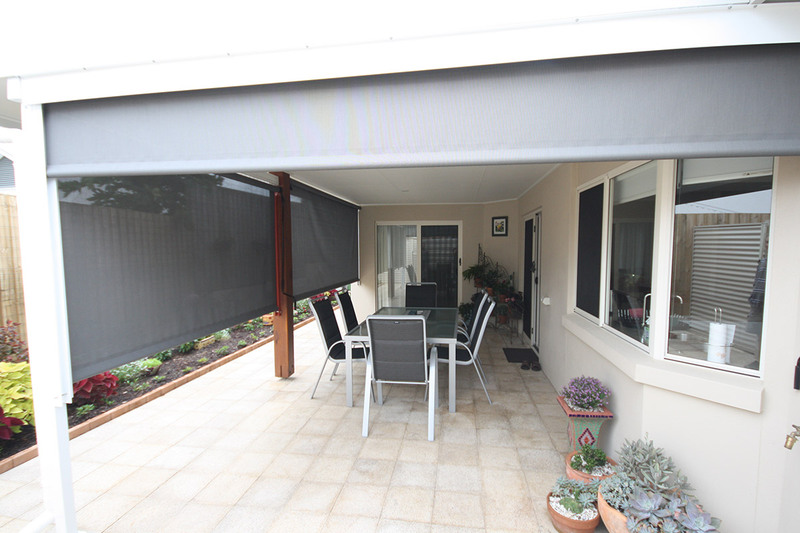 Awnings provide added functionality to this outdoor area. 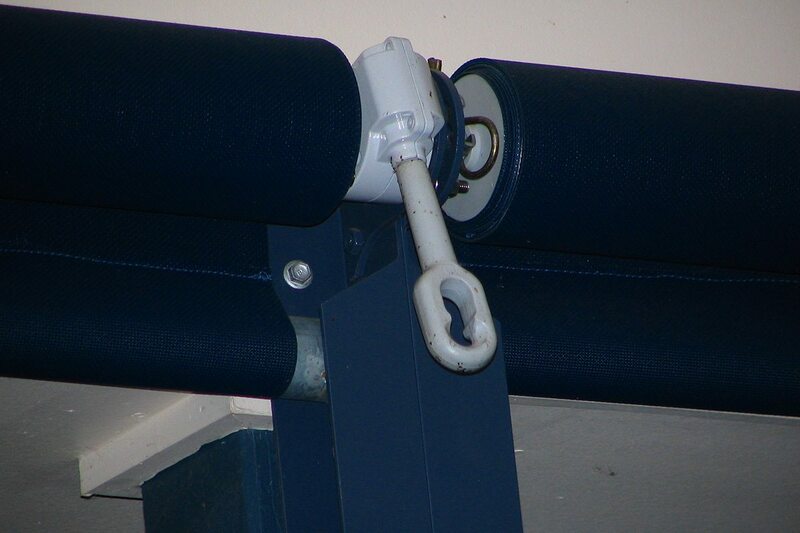 Folding Arm Awning with crank operation. 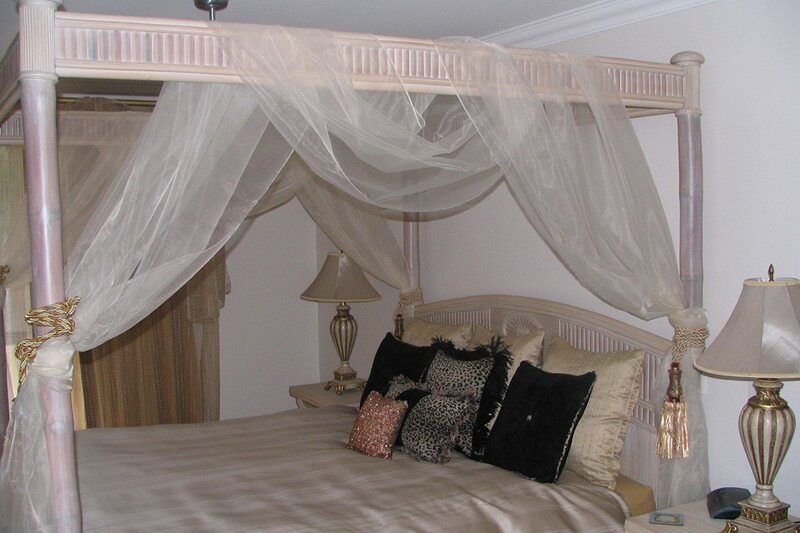 Folded in neatly. 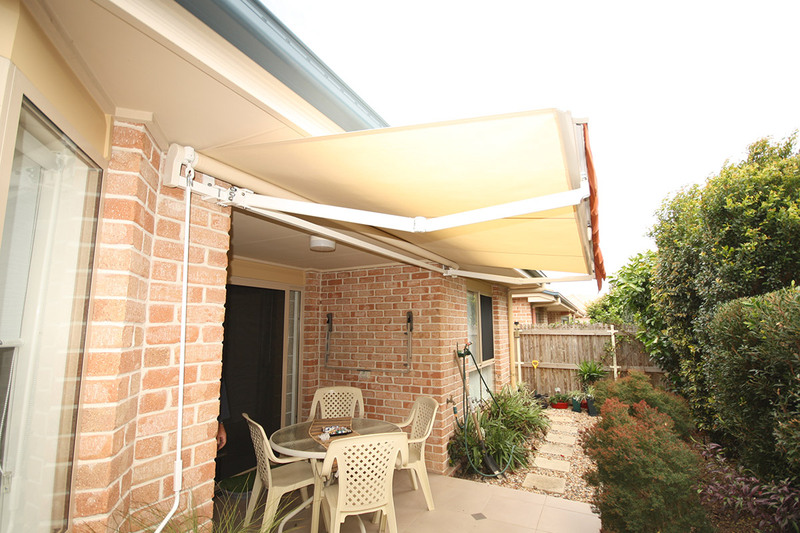 Fold Arm Awning with crank operation. 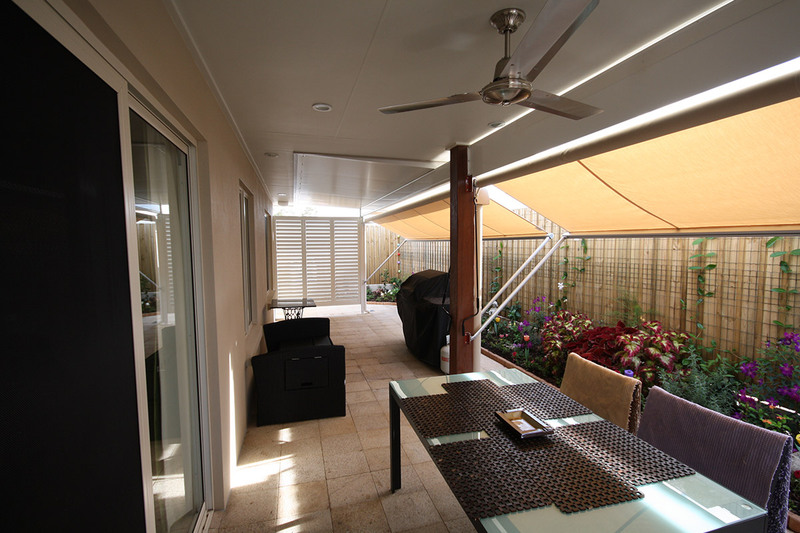 At full extension this creates a much larger space to enjoy out of the sun. 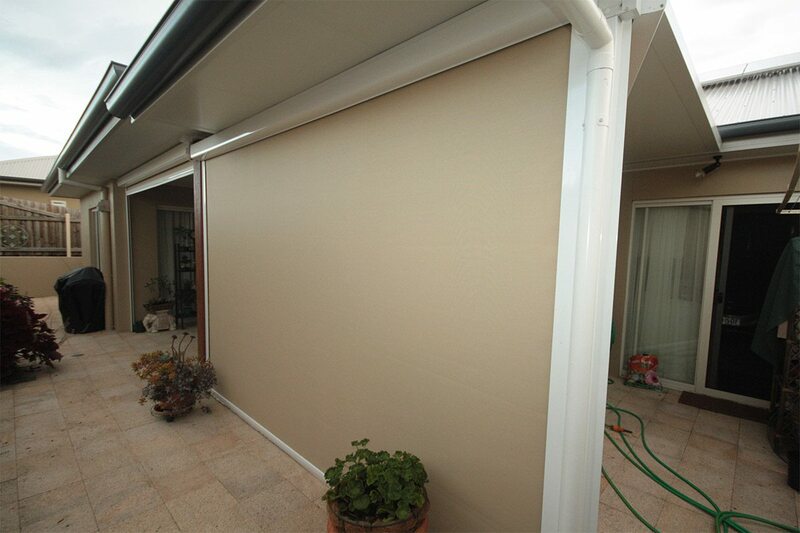 Folding arm awnings can cover spaces up to 40 square metres! 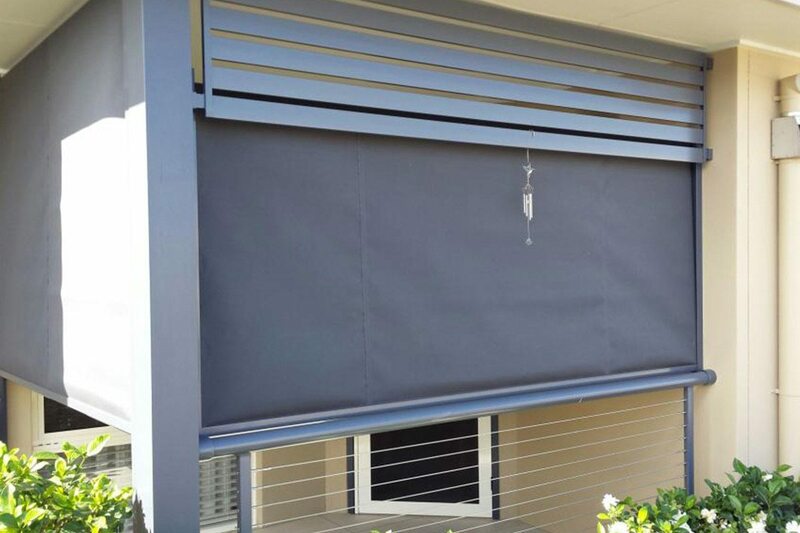 Heavy Duty straight drop awnings with side channels and crank operation. 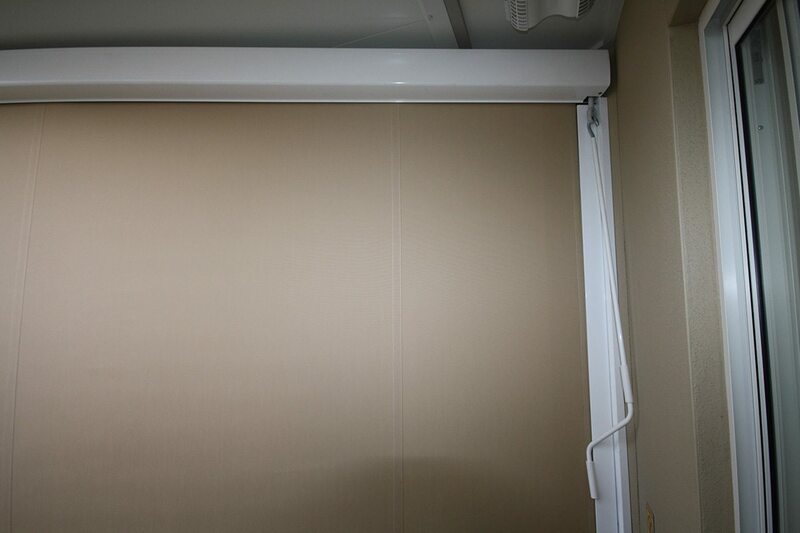 This customer only wanted half the opening covered in regards to the drop. 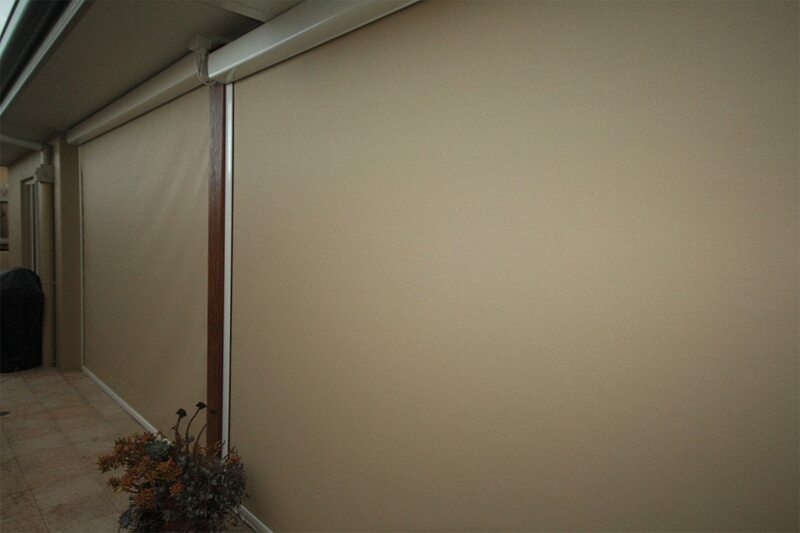 This allows decreased glare but still ample light and airflow. 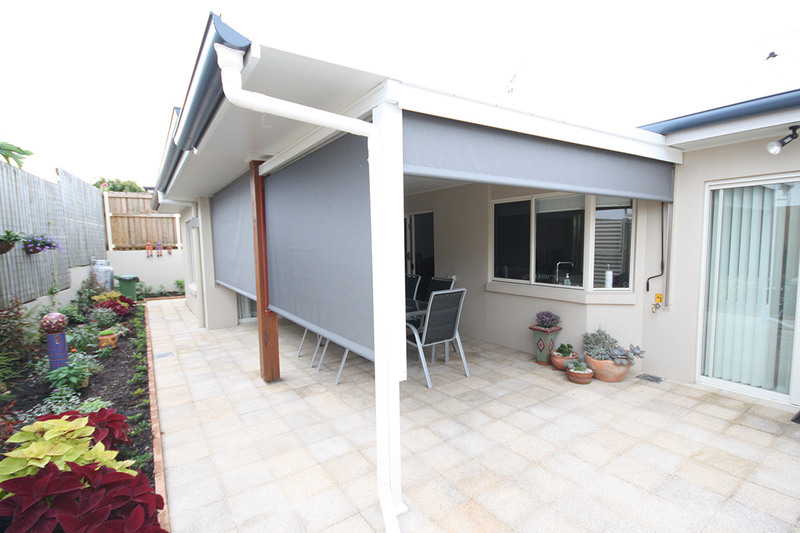 Pivot Arm awnings with crank operation create a huge increase in useable outdoor space. 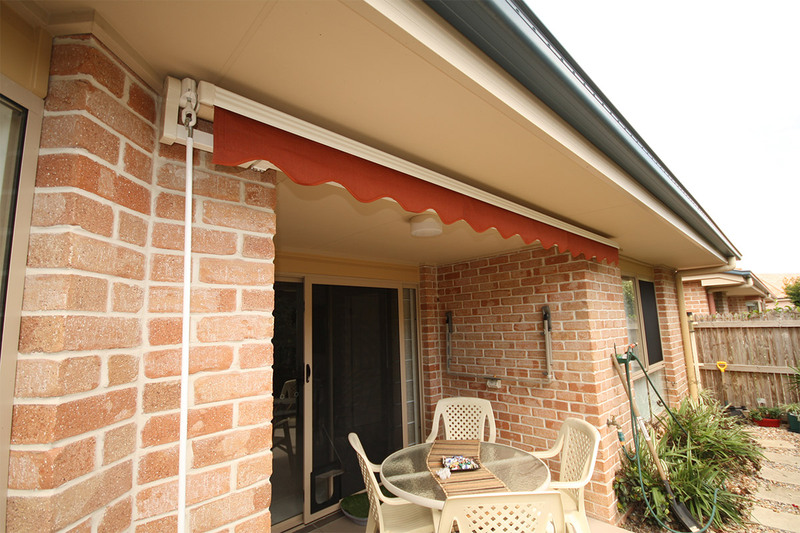 Heavy Duty straight drop awning with side channels. 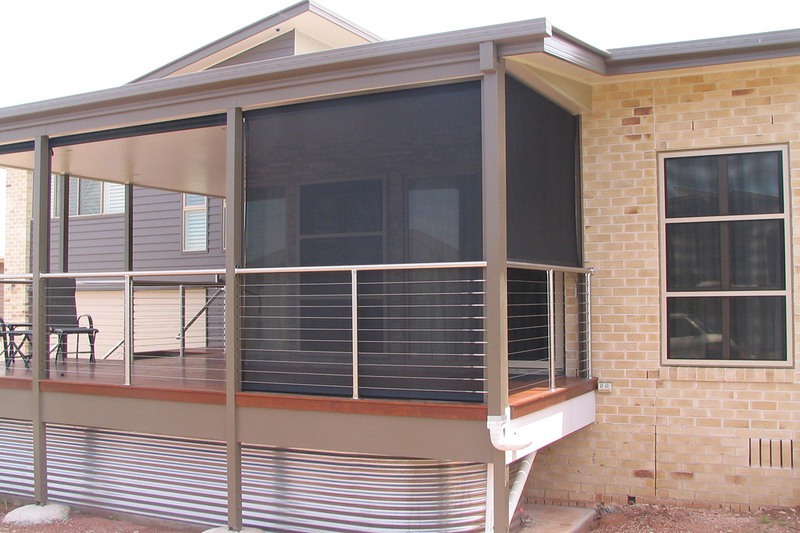 This awning matches existing decor to provide a functional but also fashionable awning.